The lecture series seeks to showcase the latest thinking from key industry leaders for the benefit of Cass students, alumni and corporate partners. Mark Wilson will speak on being a good ancestor, covering his business philosophy, what he is in business to achieve – and the responsibility of business to have the maximum positive impact on the lives of customers and society as a whole. He will draw on his own global experience, and look at the contribution business has made in lifting people out of poverty, long termism and sustainability in business, and how we can overcome obstructions which stops business delivering these goals. Mark Wilson joined the Board in December 2012 and became Group Chief Executive on 1 January 2013. Mark has over 25 years of operational and executive experience in the insurance industry across life assurance, general insurance and asset management, in both mature and growth markets. He has extensive experience of leading major international insurance companies and has an excellent track record as a focused and inspirational business leader. Mark was Chief Executive Officer and President of AIA Group (insurance), based in Hong Kong. He repositioned AIA into the leading pan-Asian insurance company, improved its market valuation and successfully navigated the company through the global financial crisis and prepared it for IPO. The company emerged as a stronger and significantly more valuable independent entity, leading to the largest IPO in corporate history in Hong Kong. 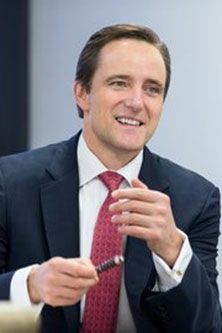 Mark was previously Chief Executive Officer of AXA China and Chief Executive Officer of AXA South East Asia (insurance). He also held a number of senior management positions at National Mutual (insurance) in New Zealand, where he progressed through many of the major business functions, gaining a deep and broad knowledge of the business. Since he arrived at Aviva, Mark has set out a comprehensive strategy to turn around Aviva’s performance. He has set out an investment thesis of cashflow and growth, focusing the business on clear, simple financial metrics. In his first year, Mark has strengthened the senior management team and is leading a programme to reinvigorate Aviva’s culture, emphasising high performance and a relentless focus on serving Aviva’s customers even better.